A group of old friends, all aged about 40, discussed where they should meet for lunch for their reunion. Finally, it was agreed that they would meet at the ‘Ocean View Restaurant’ because the waitresses there were very pretty and gorgeous looking and they would love to watch them serve and flirt with them. Ten years later, at age 50, the friends once again discussed where they would meet for lunch. They again agreed that they would meet at the ‘Ocean View Restaurant’ because the food was good and the wine selection was excellent. They would love to savor the food and drinks. At age 60, the friends again discussed where they would like to meet for dinner. Again they agreed to meet at the ‘Ocean View Restaurant’ because they could dine in peace and quiet and the restaurant had a beautiful view of the Ocean at night with the moon casting a silvery shadow on the waters. At age 70, the friends discussed where they would like to meet for breakfast and they all agreed to meet at the ‘Ocean View Restaurant’ because the restaurant was wheelchair accessible and had an elevator. Since they could not walk properly this was an ideal Restaurant for them. Ten years later, at age 80, the friends discussed where they should meet for a get together. Finally, it was agreed that they would meet at the ‘Ocean View Restaurant’ because they had never been there before! It was total Memory Loss for all of them. Age had made them forget everything. This is life in all her essence. The friends never changed, they were the same but the years that picked up along the way, transformed their thoughts and in the end they all Aged with Grace. Each chapter in our lives are simple and beautiful, for every moment is ever new and fresh. These moments never comeback. Life is short it never waits for anyone. One never knows when one has to move on. Life flows the way the river currents travels in a smooth line in pure peace and calmness. Rejoice and Enjoy the Beingness that you are. Thanks dear Tanvir and so true age catches up with everyone and such truth in all these ages. Every moment is to be enjoyed no matter what. Yes so true and such a wonderful message was there Radhika. At every age life changed for them. Thanks so much for your superb comments. Beautiful post.Reminded me of our annual meetings being held every year in Gremany since 1959. Wow that is awesome Yagnesh and so nice to hear u guys meet every year. Thanks for the beautiful comment. Most welcome.With the passage of time,not many are around….but the FRAGRANCE remains. Yes I can surely understand even I am having my school reunion and meeting my friends after a long time though we have lost a few friends but that is life enjoy till our time comes to depart. Yes absolutely true and agree totally with your words Sunith and that is the reality of life who knows when it comes to end so why not enjoy. Thanks for the beautiful comment. Hahaha who knows all in his hands and grace when he will want us to depart from this temporary house. Thanks so much dear Kate. Yes dear same here, Kate. Prepared to be going when he calls. Am so happy with whatever our Lord has given me and am so grateful to Him. 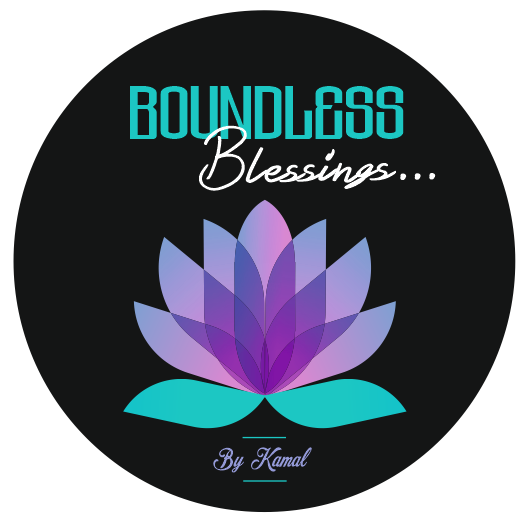 lol I believe we all make our own destiny Kamal by all our actions and inactions … we make the choices that will propel us where we need to be! Yes, yes Kate all Karma or Impressions that we are bringing with us and we have to unwind them and the only way is to keep utmost Trust in the Lord who knows what He needs to be doing. Yes, yes dear I agree with your words, Kate. Have a wonderful day dear. Yes absolutely true and agree totally with these last words Krishnapriya. We r all beings having a human experience and so nice to be living in the moment of bliss. Thanks for the beautiful comment. Thanks dear da-AL for your lovely feedback. SO absolutely beautiful!! I loved this story – it is thought provoking and makes me smile & laugh at the same time. Thanks so much dear pragalbha and yes same here, they kept on coming every ten years but everything changed for them and life too is like that. Apropos! The key to growing old gracefully is to pray and pray with a big smile, yes? Yes dear Zaza and praying with grace to be aging with love and kindness. Thanks for your wonderful words. Yes so true, Amira and every stage of their lives everything changed though the restaurant they went was the same. Every moment is beautiful and we need to be stationed in it. Thanks so much dear for your great words. Aging with grace is a gift we have to create for ourselves and as well for others, maintaining the gratefulness for what we have and not what we don’t have. Thank you Kamal for your wise post. Yes I absolutely agree with your great words, Cornelia. Aging with grace and with his gratefulness is what we have to aspire every moment of our lives and we can surely try our best. Thanks so much dear. Hahaha for sure or she will say what rubbish are you talking, Robbie. Thanks dear for your great comments. Age with grace! I’m learning it from you Kamal! Who can say you are a grandmother now? You are getting younger and younger by heart, in looks and wiser in thoughts. Your inner and outer both vibrate with beauty. So love to read your inspirational messages through your posts. Thanks a trillion my dearest friend Meenakshi and yes I so agree with your kind words to me. I always feel age is just a number and it is the body that ages, we do not ever age are always young and a child at heart. So why not we be in that frame of mind. You too are so beautiful Meenakshi. You don’t look your age at all. Yes age with grace is the motto. Yes so true Megala and it was proved so accurately in how we age at every stage but with grace. Thanks dear so much. Yes so true and positive words they all graced so well with age. That is what our life too needs to be as age is just a number. Thanks dear Akhila for these lovely comments. Thanks dear Amy so much and yes why not age with grace and enjoy every moment with friends and family. So sooo meaningful and beautiful message . Thanks so much Rekha for these great comments. Previous Previous post: Choose Your Echo………. Next Next post: Festive Season……….